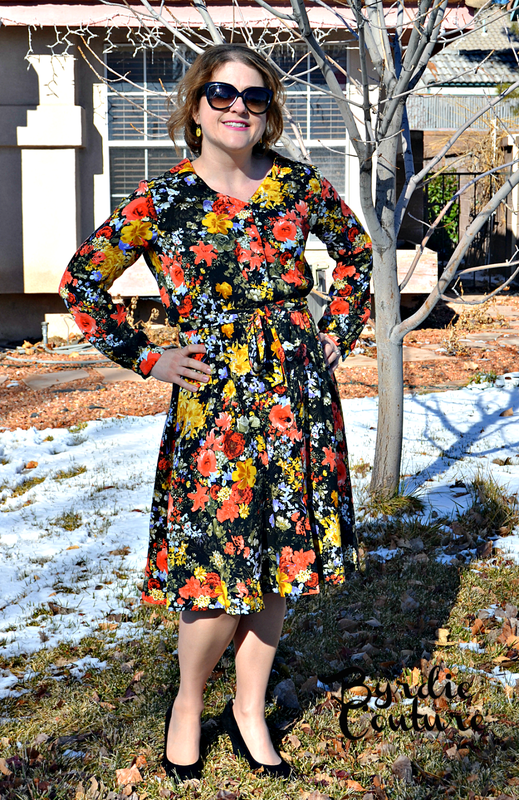 Introducing one my my new favorite dresses- the Sewaholic Nicola dress! I was instantly drawn to this pattern. I just love the design. It is very feminine and has a 70's vibe. I knew it would fit perfectly in my Work-Wear Inspired Capsule. I love working with prints! I know some people struggle with them but I think I've developed a good eye for what print works with what style. I discovered this print at Joann Fabrics. 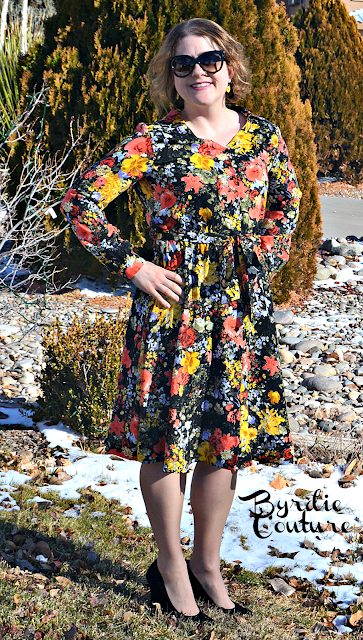 It is a rayon fabric with these beautiful Fall colors. I knew in an instant that it was meant for this dress. Joann Fabrics isn't one my favorite places to shop for fabrics, but sometimes you happen to find a treasure among all the polar fleece, lol! I spent about $20 for the fabric. I printed this pattern as a PDF. I used to dread PDF patterns, but not so much anymore. They are instantly delivered and at a better price. I'm sure with all the paper printing and ink used, it's a wash. But I tell myself I'm doing a better thing for the environment anyway. My ritual includes putting on my favorite show, pouring a glass of wine, and taping that monster up! The instructions and illustrations are great. I didn't have any issues sewing this up. As for fit, I sewed up the size recommended by the pattern without issue. This dress is meant to have a flow and some ease so is quite accommodating to different sizes and shapes. I love the end result. This will look great with heels as pictured, or paired with some boots. I don't mind the fabric belt but I can always switch this out for a different look. It's very easy to wear and will be great for long work days. I'm going to have to make the short sleeved version when the weather warms up again. And that's probably it for 2015! I've got some other makes that I need to post but don't think they will be up before the new year. I wasn't as productive this year but I feel like everything I made was high-quality and will get tons of wear in my new position coming up this next year. And as school comes to an end this next year, I should have much more time to get back to the sewing room more often. Wishing everyone a fabulous and blessed 2016! Thanks for sharing your review, I've been tempted by this pattern but I just haven't seen it made much. This is lovely! Agreed that it's so cute but hasn't had many reviews. I really like this!! I really, really like this! Well done!